We’ve been working with The Cherry Trees School for 15 years and over that time our relationship has grown from strength to strength. The primary school specialises in supporting boys with severe emotional and behavioural difficulties, so it’s especially important for us to build a trusting relationship between the teaching staff and our artists. 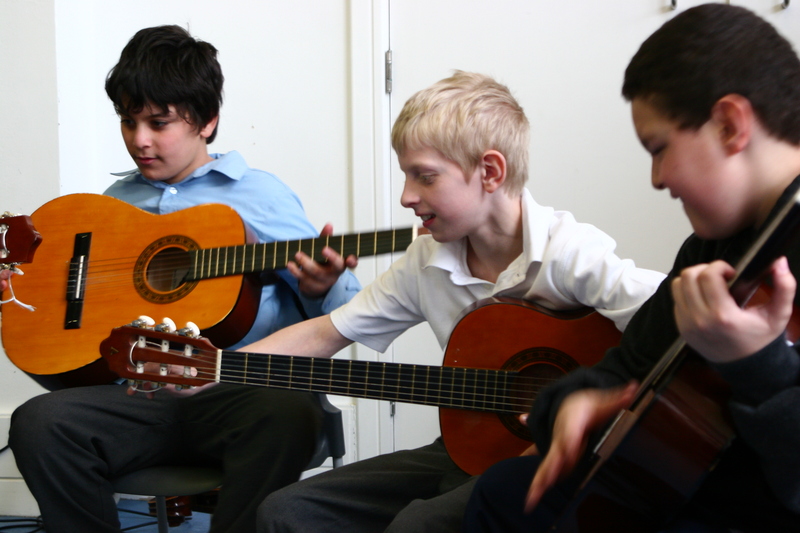 In 2010 we delivered a project called Messy Songs for Messy Play , part of the Beyond the Mainstream initiative led by Sing Up as part of Youth Music with the aim of getting messy with music! We brought together percussionist Jim Cartwright and vocalist/songwriter Roshi Nasehi, along with Trainee Music Leaders, Dominic Stichbury and Danny Thompson (who returns to The Cherry Trees with us next year), who all became part of the school for two weeksthe boys to write their own music and lyrics, with no distractions. The boys then created a whole show which their parents and friends were invited to at the end of the project. To encourage the parents to engage with their children’s work, videos and CDs were produced and sent home, which really instilled a sense of pride on both parts. Many of the families expressed surprise and recognition of various pieces of work, for example the splat game, chants and lyrics which the boys were bringing back home. A fantastic moment for the project was when Roshi made a connection with her choir for pensioners at Fern Street Settlement, which is close to the school. The boys’ response was to make some bread to take to the centre. With the common ground of singing and freshly baked bread, a relationship has developed across the generations between The Cherry Trees and Fern Street, with the choir sending a video message to the boys wishing the for their 2014 performance! Messy Songs is a project we continue to look back to when producing our Learning & Participation programme. It is a model for our work within the mainstream schools in Tower Hamlets, and has inspired our new pupil-led project, Takeover.